If you’re interested in finding a hotter trend than whiskey in the spirits market right now, you’ll be hard-pressed to find it. Lew Bryson’s Tasting Whiskey: An Insider’s Guide to the Unique Pleasures of the World’s Finest Spirits is a comprehensive guide that leaves no barrel unturned. The author is managing editor, feature writer, and columnist for Whisky Advocate, so he has the pedigree to give this book credibility. The book is beautifully designed, both visually in its layout, while also providing an easy reference for the reader looking to find facts and reference tools quickly. There are many photos and colors are used to differentiate one section of a page from another. Whether you’re looking to dive in and find a fact or you’re seriously interested in educating yourself on the history of whiskey craftsmanship, the layout is brilliant. The term “whiskey” is an umbrella that covers the general category of this liquor, that is used interchangeably with many other terms such as bourbon, scotch and rye, to name a few. Each variety is covered in depth and recommendations are provided and can be referenced by price, geographical region, including fine details that define each selection. Bryson covers the history of whiskey over centuries from Scotland, Ireland, North America and Japan. Within each region, the author drills down and covers specific areas such as Kentucky and Tennessee in the U.S. So if you have a favorite blend, it can be found quickly or you can discover a new version of the liquor to expand your palate. The classic cocktails section is one area of the book that I quite enjoyed. As you go through the list of recipes, you see the importance whiskey has played over time as the foundation for so many cocktail standards. Highballs like the Old-Fashioned, Manhattan and even the Mint Julep all depend on a derivative of whiskey as the main ingredient. Visions of Don Draper came to mind as I moved from one page to the next. If you’re a devotee interested in setting up your distillery in a basement or backyard garage, Bryson covers the entire process, from growing the grain, mill grinding, mashing, fermenting, distilling, aging and bottling. This craft takes time and dedication. Development of a good blend of whiskey takes years of study. The whiskey aficionado will enjoy the details behind the process and supporting charts and images. This is a book that will keep you coming back for more, and you’ll find something new each and every time you take a new look. 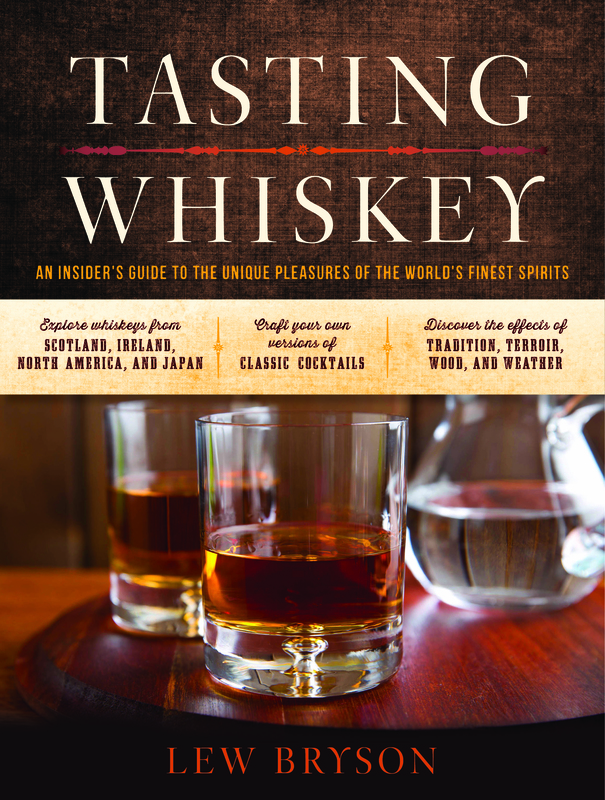 It is perfect for the whiskey enthusiast interested in gaining a greater knowledge of the craft of whiskey making, and perfect for readers with a short attention span. There is an incredible amount of content bundled into small packages throughout each chapter.